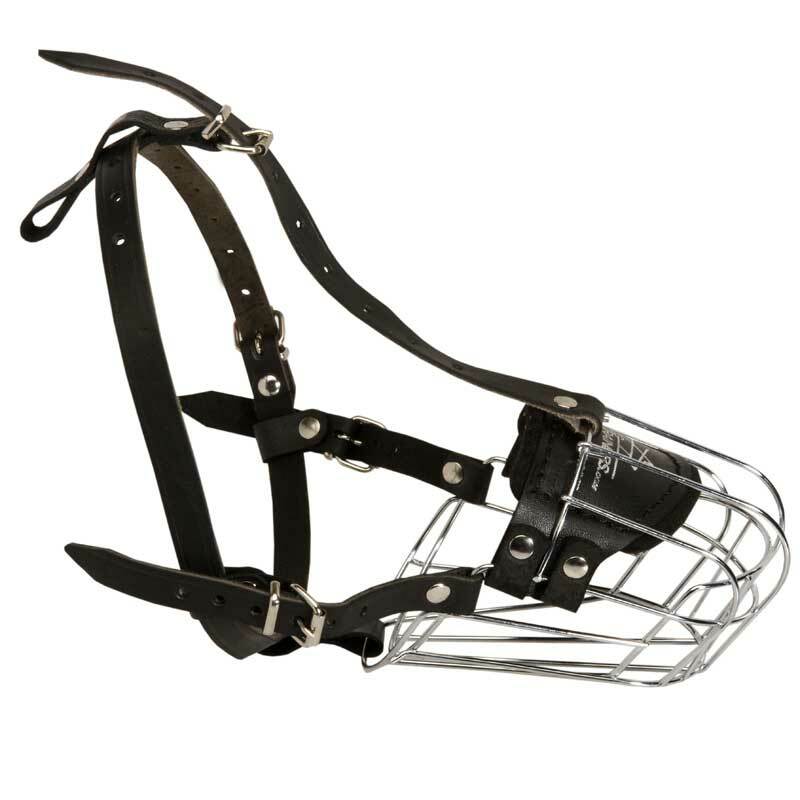 This Wire Cage Muzzle is made of nickel plated steel that is very durable and can withstand excessive overload. Also it is smooth and won’t do any harm to your dog’s snout. 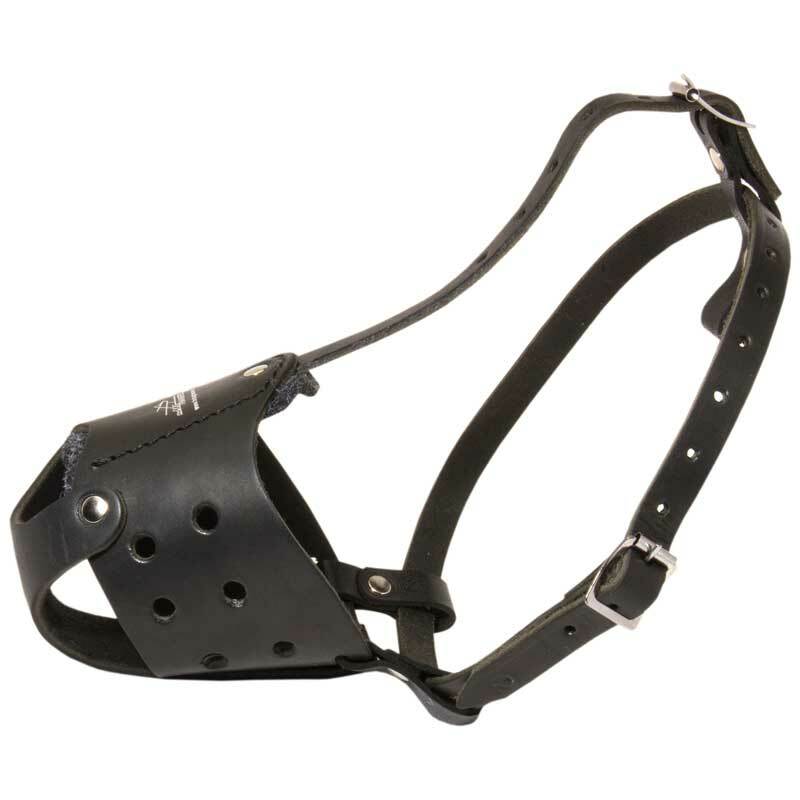 Special ergonomic design allows the air to pass through this dog item and circulate freely, so your Rottweiler will be able to breathe freely performing different kinds of activities. 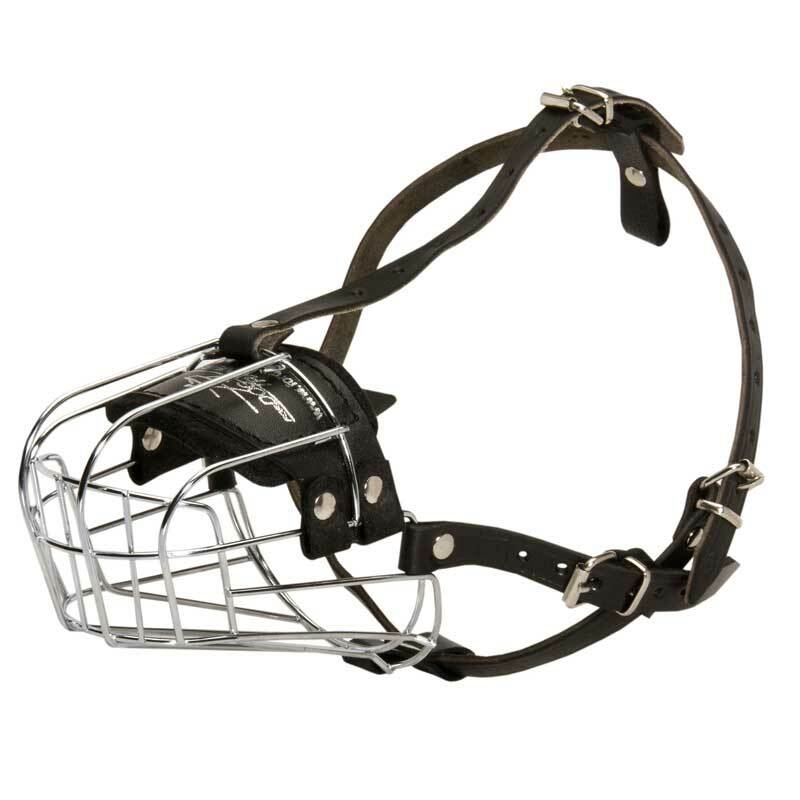 Moreover, the shape of this dog supply is optimal and repeats the form of dog’s snout, so he will feel no discomfort wearing it. 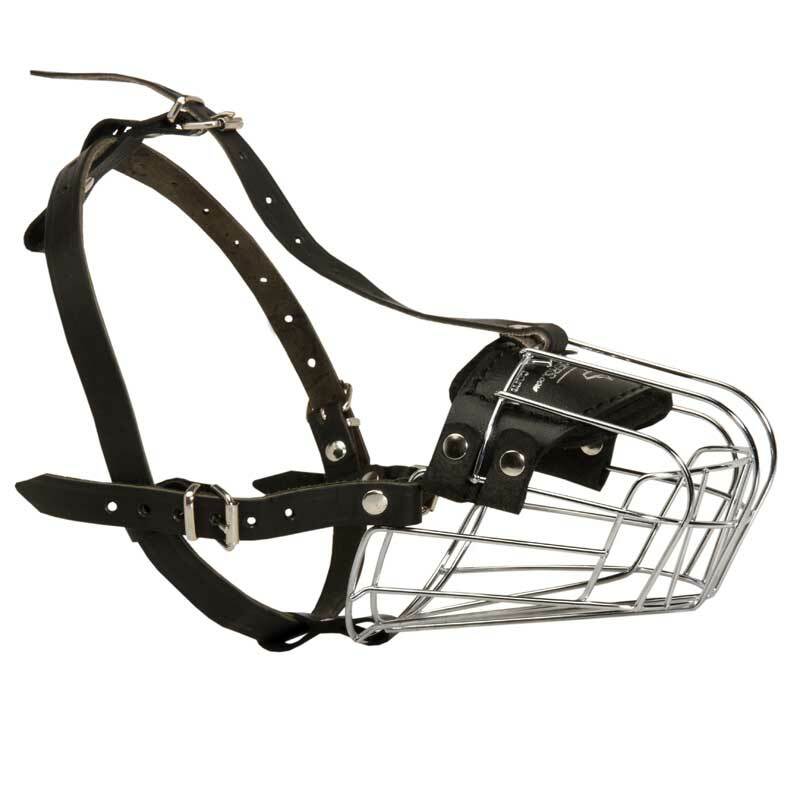 This Muzzle is rather wide to allow your pet to open his mouth to a certain degree, to stick out his tongue and drink water when thirsty. But your dog won’t be able to pick up dangerous things and rocks from the ground. 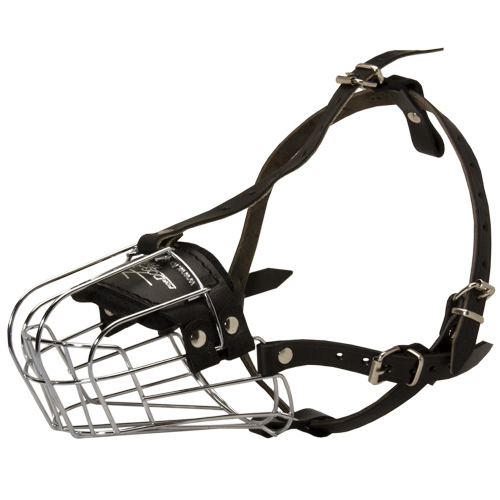 You can use this Dog Muzzle for safe daily walking, off leash training, behavioral correction and visiting a vet.